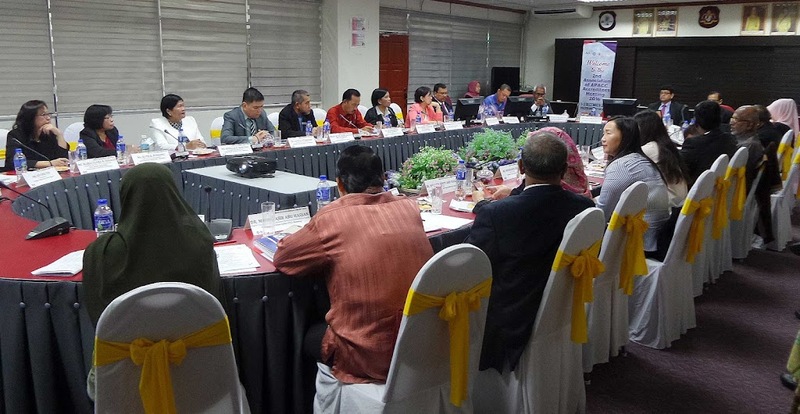 The second meeting of the Association of APACC (Asia Pacific Accreditation and Certification Commission) Accreditees (AAA) was held at Politeknik Port Dickson (PPD), Negeri Sembilan, Malaysia on December 1, 2016. Heads and representatives of active APACC accredited institutions from Malaysia, Mongolia, and Philippines, as well as representatives from India and Thailand, participated in the meeting mainly to exchange information on potential collaborations, discuss and finalize the AAA Charter, and select the first Chairperson and members of the Board of Directors. The APACC President, Dr. Ramhari Lamichhane, chaired the meeting while the Board is being set up. 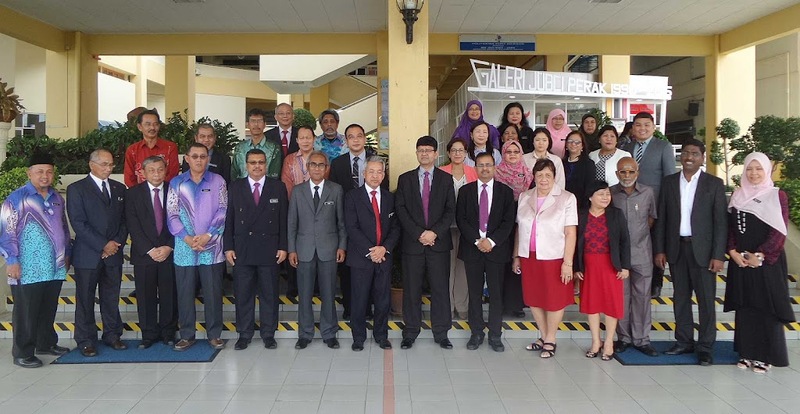 On November 30, a day before the meeting proper, participants who came from outside Malaysia were toured around the campus of PPD to learn best practices of the institution and to view their facilities. 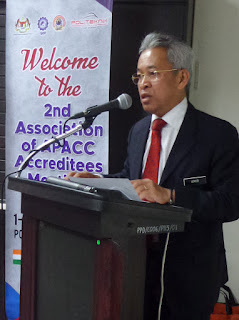 Prof. Dr. G. Kulanthaivel, Chairperson for APACC Operation, welcomed all participants of the meeting, briefly reported the activities during the first AAA meeting held on June 24, 2015 in CPSC, Manila, Philippines and expressed APACC’s gratitude to Politeknik Port Dickson for the assistance in hosting and conducting logistical preparations. Former APACC President, Dr. Mohammad Naim Yaakub, currently Director of Professional Excellence Division, Department of Polytechnic Education (DPE), Malaysia stressed the importance of APACC as it is an embodiment of quality assurance in practice at the international level. He mentioned that the AAA will complete the loop of network of accredited institutions, paving the way for visible international collaborations among TVET institutions in the Asia Pacific, similar to the ASEAN Universities Network (AUN) being practiced among universities in the ASEAN region for the last 20 years or so. The Keynote Address presented by Dr. Ram Hari Lamichhane, APACC President, focused on the objectives of the meeting which is to finalize the AAA Charter and to share how each country or institution could collaborate with other APACC accredited institutions towards regional mobility through staff and student exchange, sharing of learning resources, and other means. Chief Guest Address by Y. Bhg. Dato’ Amir bin Md Noor The Director General of both the Department of Polytechnic Education and Department of Community College Education of DPE Y. Bhg. Dato' Amir bin Md Noor, introduced his presentation by way of providing the challenges and issues in TVET at present, which are uncoordinated governance, fragmented TVET delivery, lack of recognition for technologists, and competency gaps among instructors. He hoped that the AAA will strengthen international collaboration, facilitate international mobility amongst lecturers and graduates, and promote and share best practices. Mejar (K) Dato' Hj. Md. Nor Bin Yusof, Director of Politeknik Ungku Omar (Malaysia) was elected as the first Chairperson of the AAA Board of Directors. The Board members are the following: Mejar (K) Hj. Noor Azahan Bin Othman, Director, Politeknik Kota Bharu (Malaysia); Tajuddin Bin Abdul Rashid, Director, Politeknik Sultan Salahuddin Abdul Aziz Shah (Malaysia); Prof. Baramsai Baasanjav, Director, Institute of Technology (Mongolia); Dr. Alvin L. Yturralde, Vocational School Administrator I, Concepcion Vocational School (Philippines), and Ms. Maria Clara B. Ignacio, Center Chief, TESDA Women’s Center (Philippines). Representatives from other member countries such as Bangladesh, India, Pakistan, and Thailand may fill up the remaining three (3) vacant slots of nine (9) slots once an active/accredited APACC institution are already available in these countries. Presentations from AAA members on ways and means of collaboration with other APACC accredited institutions ensued. Most of the members agree to cooperate through faculty and student exchange, sharing of curricula and other learning resources, and joint conduct of seminars and conferences. Presentations from Malaysia were also delivered during the meeting. Dr. Zainal Azhar Abidin, Director of Instructional and Digital Learning Division of DPE discussed about the International TVET Convergence 2017, an online aggregation of ideas via talks presented by both educators and students in the TVET education stream. He invited Malaysian polytechnics as well as international institutions to submit entries. It was followed by the presentation of Pn. Noor Aidi Nadzri, Head of TVET Special Projects, DPE and Malaysia National Coordinator for Accreditation and Pn. Noaryanti Mohd Noor, Senior Assistant Director, DPE. In their presentation, they shared the online instrument for internal audit process for APACC accreditation which they themselves develop. The meeting ended with the hope that collaboration between and among APACC accredited institutions would flourish to finally achieve regional mobility.